Hey, everyone!! New launches get me feeling so excited! Freejump has created another product after the Soft'Up Classic stirrups that I have been loving so much - this weekend at the show, there was a guy at the warm up arena staring so much at Gali that I even thought something was wrong with him but then I realised that he was just trying to see my stirrups hahaha 😂😂. This time, the French brand has created spurs that are as interesting as gorgeous! 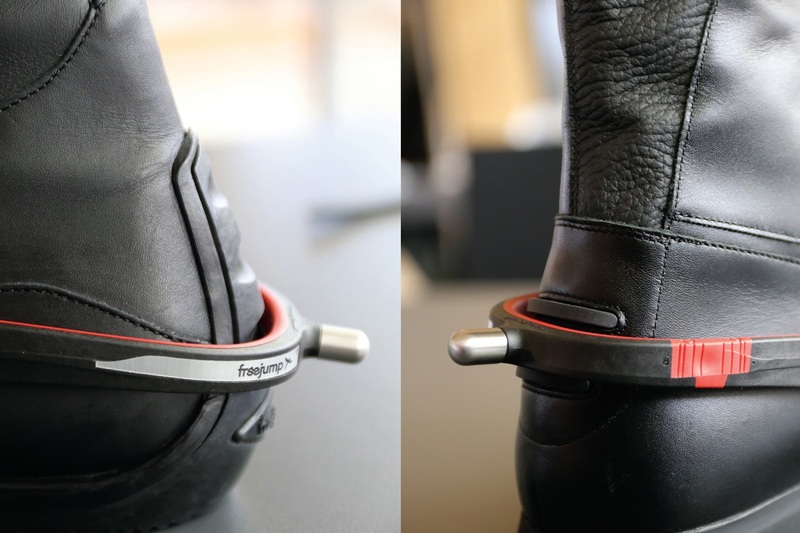 The product is called Spur'One and its internal branch is flexible so that we can adapt it to the width of our boot, where do they get all these ideas from?! Its body is made from carbon fiber and its inner side has ellastolan for a grip effect. Spur'One will be available from June and there's only one size but 3 different colors - black; black/pearl blue, black/pearl red - and 5 different types of ends - round, prince of wales, hammer, extra long and disk.